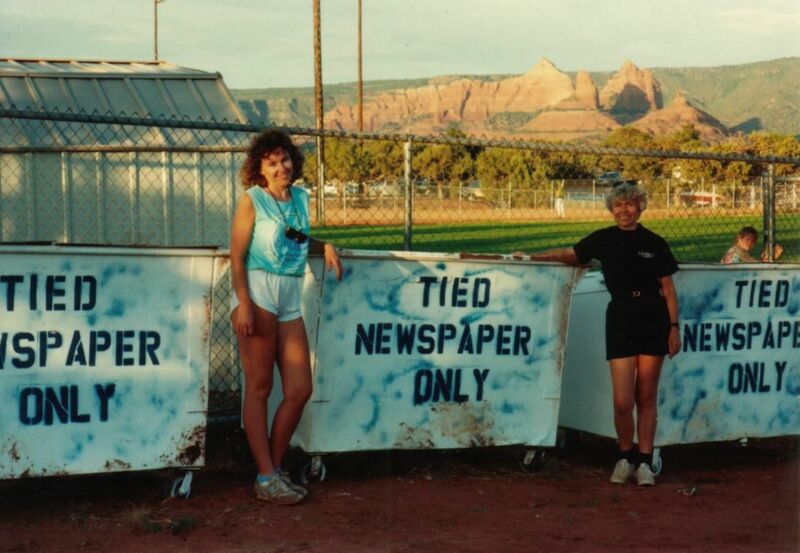 Sedona Recycles, Inc. (SRI) was founded in 1989 by Sedona residents Kate Blevins, Rayna Griffin, and Sandy Moriarty. SRI received nonprofit status in 1990. At that time, SRI was monitoring two recycling drop-off sites with the help of 24 volunteers. 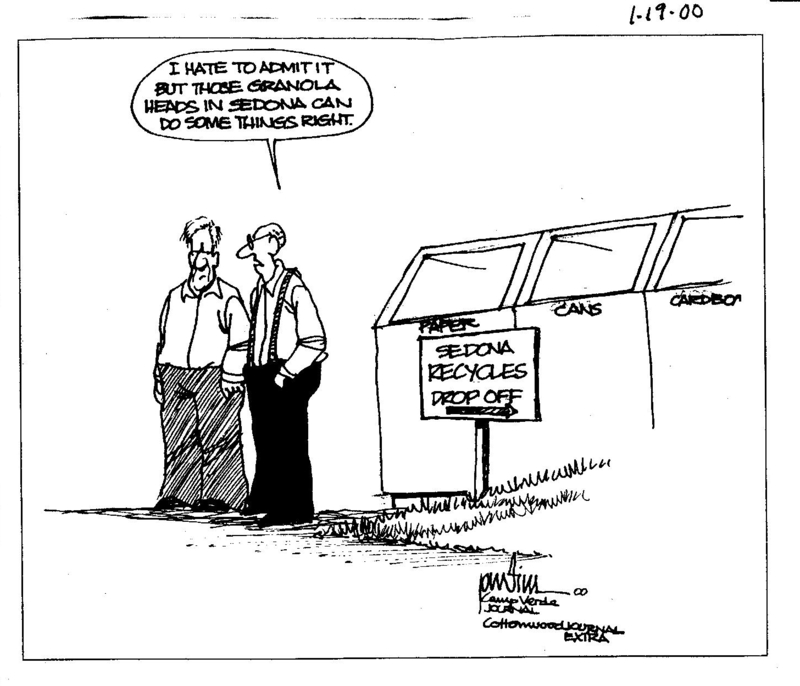 In 1994, SRI was awarded a $75,000 grant from the Arizona Department of Environmental Quality (ADEQ) for construction of the SRI material recovery facility in Sedona. 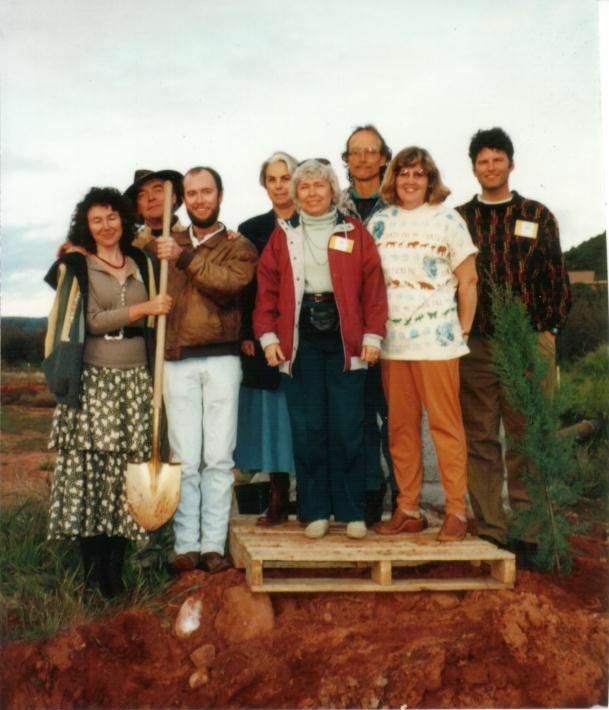 The facility was completed in 1995, utilizing recycled building materials and community and volunteer participation. In 1996, following completion of the new facility, the amount of recyclable materials processed increased from 1 ton to 3 tons per day! In 2000, SRI partnered with Rainbow Acres, a community for adults with developmental disabilities, to offer employment to Rainbow Acres residents. 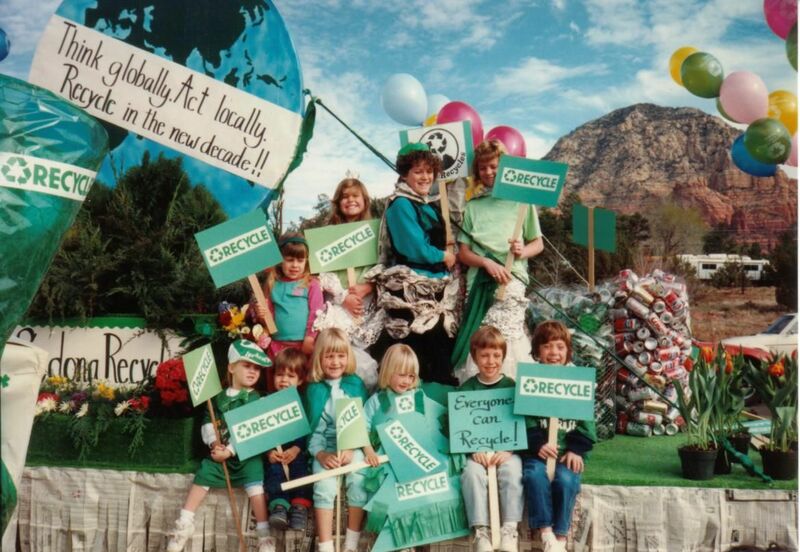 As recycling demand continued to increase, SRI was awarded a $50,000 grant from ADEQ in 2002, to expand recycling drop-off collection systems in the Verde Valley. One year later, another ADEQ grant was received for the acquisition of a large-capacity baler, which has enabled us to process materials more efficiently. 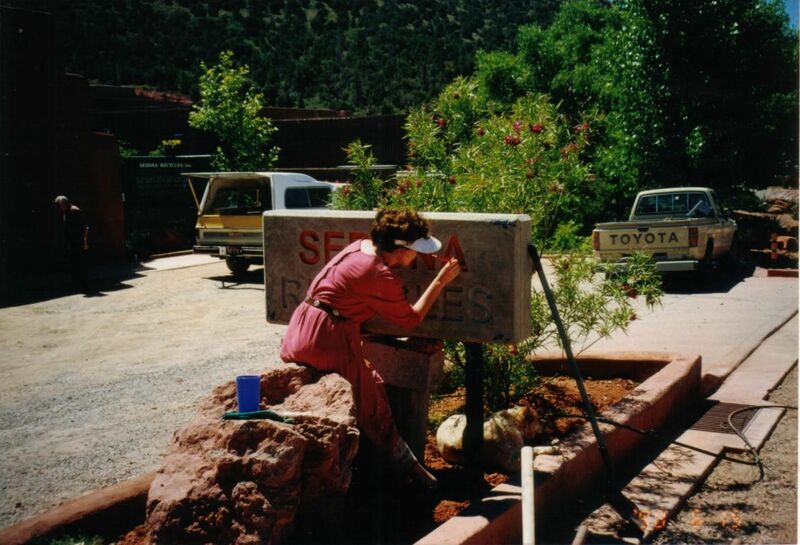 Starting in 2006, SRI began offering electronics recycling at the Sedona material recovery facility. In 2008, we began accepting plastic #3-#7 and printer ink and toner cartridges. In 2010, collection of books and clothing, shoes, and small household items began, further expanding the range of acceptable recyclables. 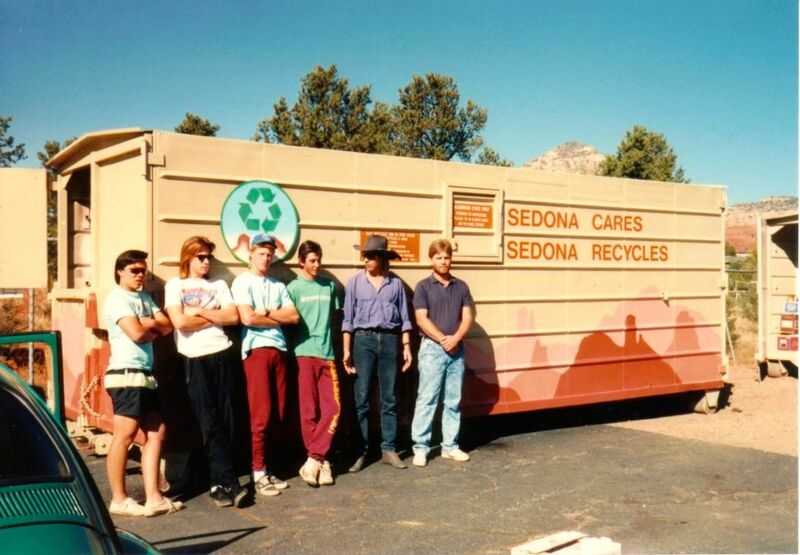 In 2010, after 21 years of service in Sedona and the Verde Valley, Sedona Recycles was named Recycling Nonprofit of the Year by the Arizona Recycling Coalition and Nonprofit Organization of the Year by the Sedona Community Foundation Spirit of Sedona Awards. We now service and maintain 14 free 24/7 drop-off sites and process 11 tons of recyclable materials per day with a staff of 20 full- and part-time employees. We are continually working to expand our services to better serve the residents and businesses of Sedona and the Verde Valley.